Check out Rubina Dilaik and Abhinav Shukla’s stunning wedding invites. Shakti Astitva Ke Ehsaas Ki actress Rubina Dilaik is all set to tie the knot with her long-time beau Abhinav Shukla on June 21 in Shimla. 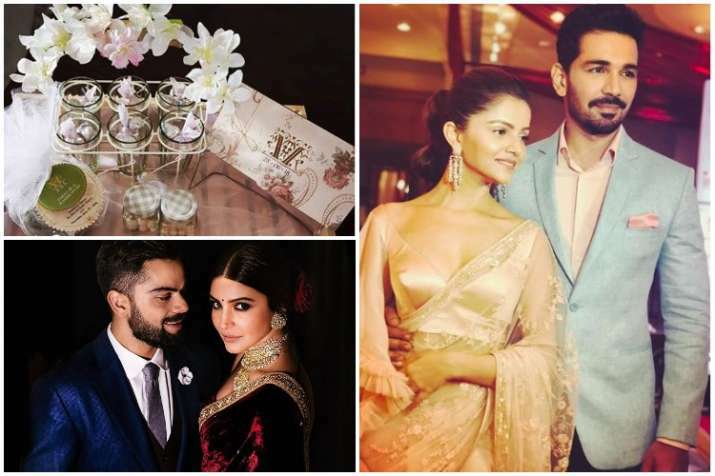 The preparations are in full swing and lately, the lady has shared some pics of her wedding invitations on social media. The invites are stunning and looked inspired by Virat Kohli and Anushka Sharma’s wedding invites. Yes, the cards are eco-friendly and have the initials of her and Abhinav’s name on it. This is not the first time, Virat and Anushka’s wedding card was also nature-friendly and the couple sent it with saplings. It seems that Abhinav and Rubina have taken a cue from Virushka. Rubina has been pampering herself and all her pics on social media indicate that she is going to be a stunning bride. The couple’s wedding festivities will take place in Mumbai and Ludhiana.